2nd July 1916. Claud Heygate, C Social, 1900. Capt, 10th Bn, Yorkshire Light Infantry. Killed in action at Fricourt, Battle of the Somme. 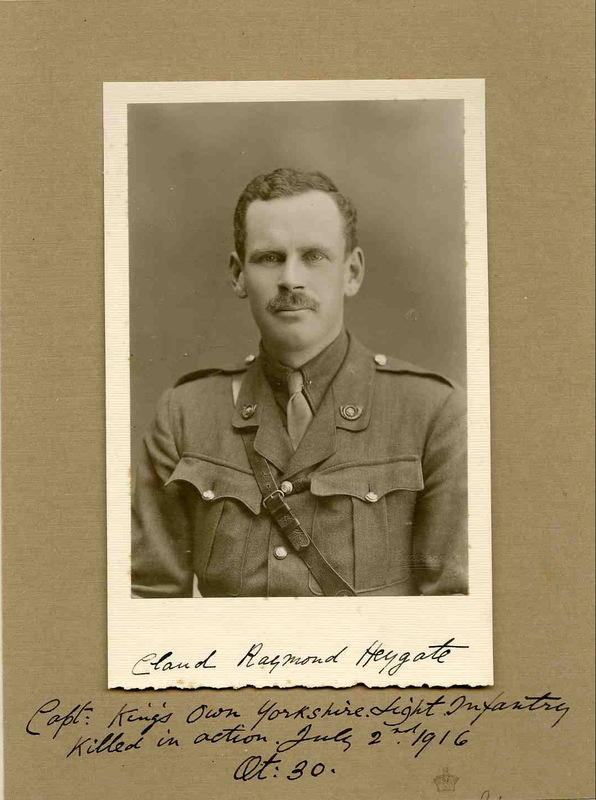 Claude Heygate went to Sandhurst in 1904 and received his commission in the 1st Yorkshire L.I. in August, 1906. Lawrence Westmore, D Social, 1908. 2nd Lt, 1st Bn, Hampshire Regt. 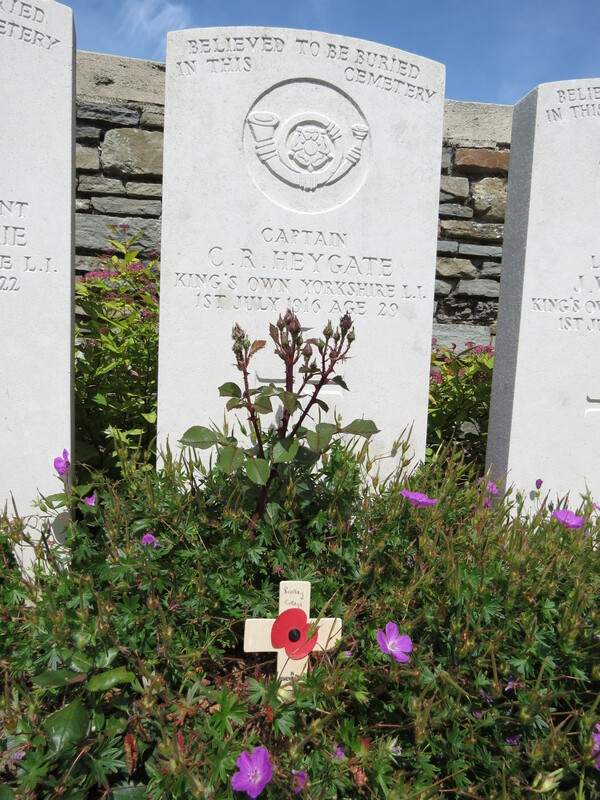 Killed in action at Beaumont Hamel, Battle of the Somme. 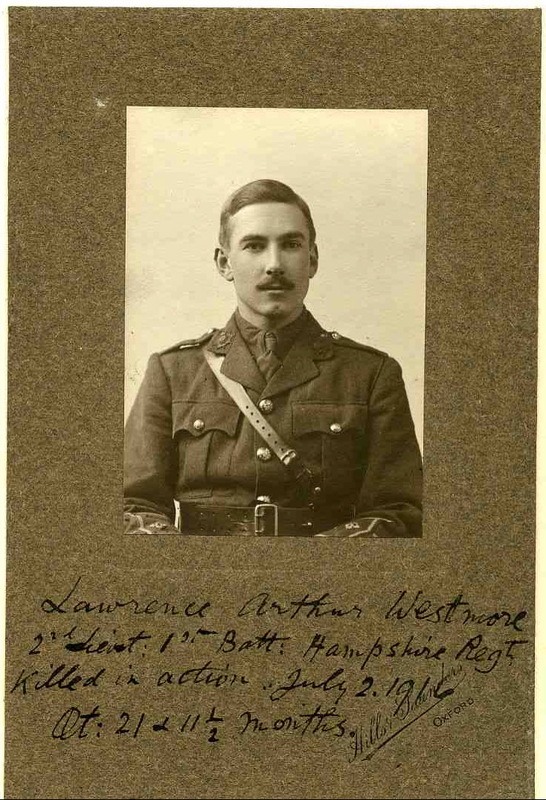 Lawrence Westmore was one of the best scholars of his year at school. He was a Junior Scholar who won The Richards Gold Medal, The James & Heathcote Scholarships, the Historical Essay Prize, the Worsley Prize and the Morgan Verse Prize. He left school in 1913 to take up a place at Wadham College, Oxford, for which he won an Exhibition. He achieved 1st Class in Classical Mods in 1915. 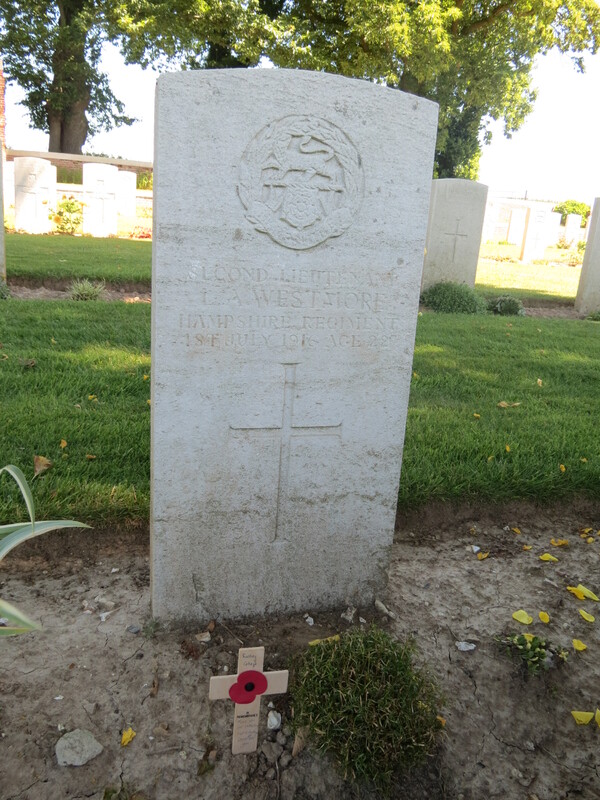 Posted in Commemorating the Fallen of WW1 and tagged 1st Battle of the Somme, 2nd Lieutenant, C Social, Captain, career serviceman, D Social, Flanders & France (Western Front), killed in action, Marching in Memory for Combat Stress July 2015, Sandhurst, scholar on 2 July, 2016 by archives602.